I live in Arabian Ranches, Dubai and this is also my sudio. You are welcome to visit me here to see my work. If you wish to arrange a commission I would be happy to discuss this with you at a mutually agreeable time. I have found that it is best to discuss this in person and I suggest initially that you visit me and view my work first. You need to decide whether my style is just what you want. Once you have decided that you want a Lisa Fabian original on commission I will then come to your home or office, wherever the piece is to be shown, and we will discuss your ideas and my interpretations. I do charge a call out fee which will be deducted from the final price of the artwork. Callout fees are listed below and payable at the time of consultation. The same call out fees apply if you would like me to bring a selection of paintings to your home for viewing purposes rather than coming to my studio. 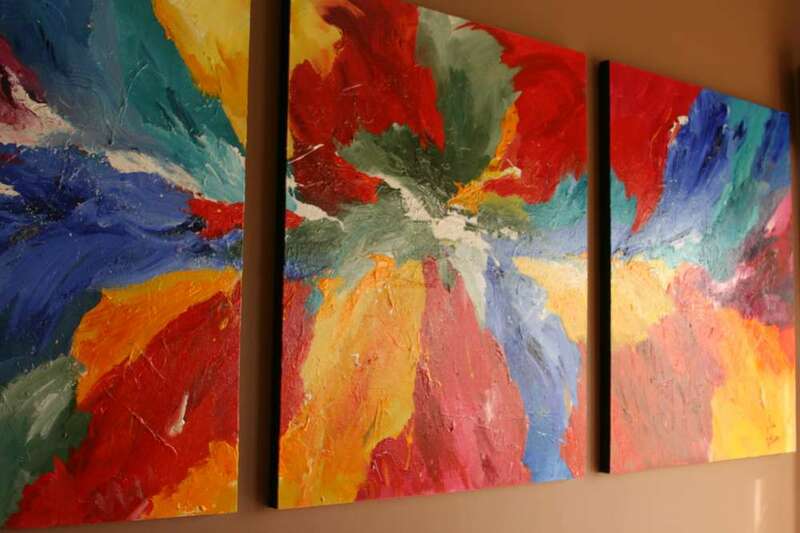 Should you purchase a painting on this occasion the call out fee will be deducted from the purchase price. Once you have decided that you would like me to proceed I will require a non refundable amount equivalent to 10% of the selling price. This will also be deducted from the final price and it is in place to protect me. Alot of money is spent on materials.